Are you ready to making working out fun?!? Through the Body is your one stop shop for all of your fitness needs; offering strength training, dance cardio, and restorative classes. Through the Body’s signature strength training class that focuses on using your own body weight mixed with a variety of props to create long, lean muscles by incorporating small isometric movements- targeting a whole body burn. Centered around core strength, balance and flexibility, as well as incorporating the mind-body connection; this class will give you the strength and control of a dancer. 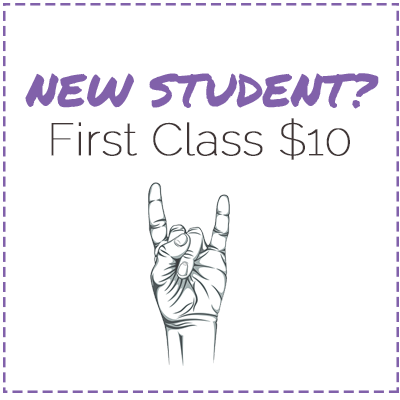 This class is for those who are ready to rock. 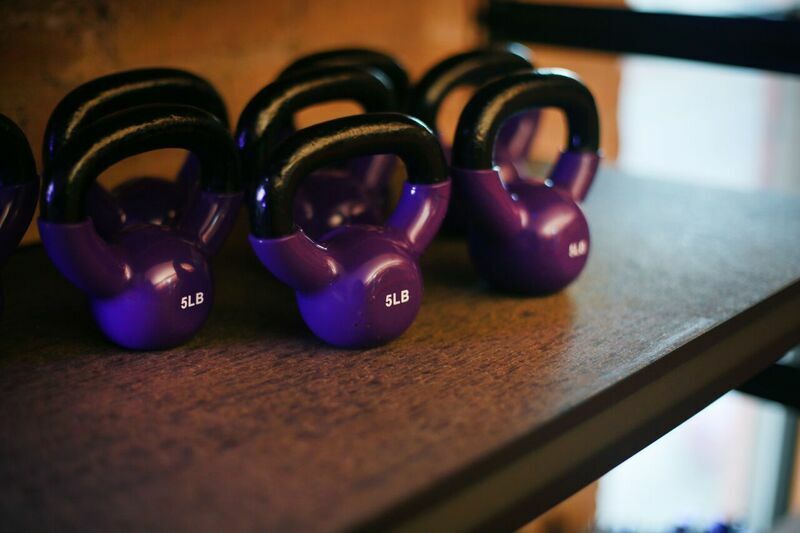 Using the kettle bell, we will target the entire body in a 20/20/20 format paired with short cardio bursts. This class will improve core strength, balance, cardio endurance and tone the muscles. Work up a sweat while you learned choreographed moves to songs from a variety of different musical genres. This class is beginner friendly! The perfect combination of mat pilates and yoga; strengthen, lengthen and stretch the body in Through the Body’s most restorative class. Flow through sequences while listening to New Wave/80’s hits, while focusing on breath and the mind-body connection. Great for all levels. POMSQUAD™ is a super fun, immensely positive, high impact dance fitness class! Shake your poms while prancing, dancing, bending, and snapping to today’s hits and yesterday’s favorites. Inclusive, encouraging, and easy to follow classes are designed to maximize caloric burn while strengthening and toning muscles. Featuring a variety of dance styles and unique choreography, there is something for every type of spirit leader in each and every class. POUND is a full body cardio jam session, combining light resistance with constant simulated drumming. The workout fuses cardio, Pilates, strength movements, plyometrics, and isometric poses. Through continual upper body motion using lightly weighted drumsticks, called Ripstix, you’ll turn into a calorie-torching drummer, POUNDing off pounds as each song flies by! Jab, shuffle, kick and sweat in this 45 minute boxing inspired cardio conditioning class! Learn boxing and kickboxing technique while incorporating various strength and cardio intervals. No boxing experience necessary. Let your hair down and have some fun! This hour long dance class focuses on learning choreography; blending HipHop, Modern, Ballet, and Lyrical dance. No dance technique/experience required, just a desire to move! New choreography biweekly.